So Christmas is literally just days away and I am feeling very festive. So I thought I would finally get round to doing a review on one of my all time favourite Christmas products. If your a regular reader of my blog you will know that I am a huge fan of the more sweet scented products. Candy mountain is a extremely sweet sugary vanilla candy scented product. Although it doesn’t smell exactly the same it reminds me very much of the snow fairy scent as it has that delicious candy floss scent about it. 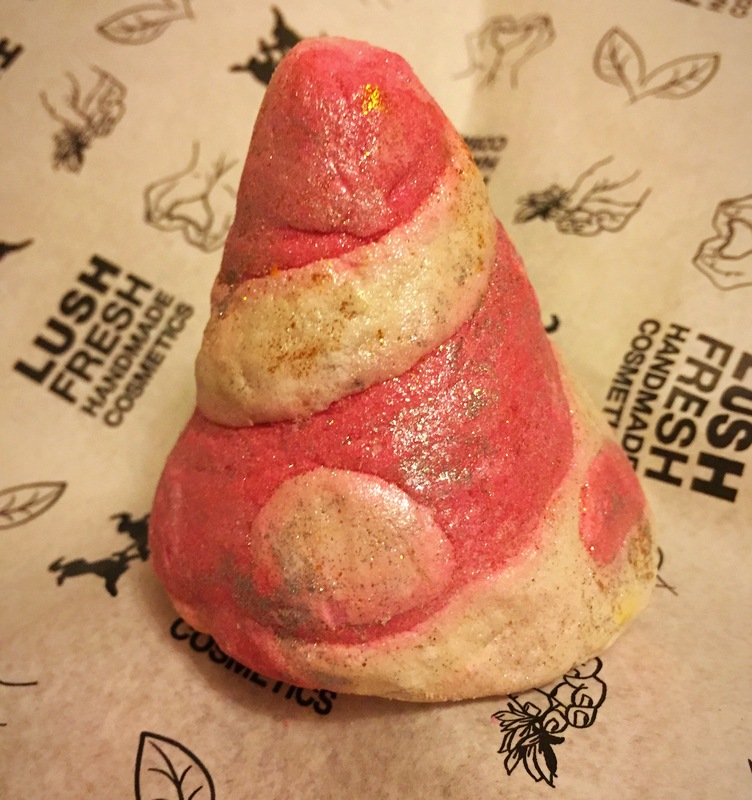 Shaped like a little mini mountain, this bubble bar is just a lovely cute and Christmassy product. 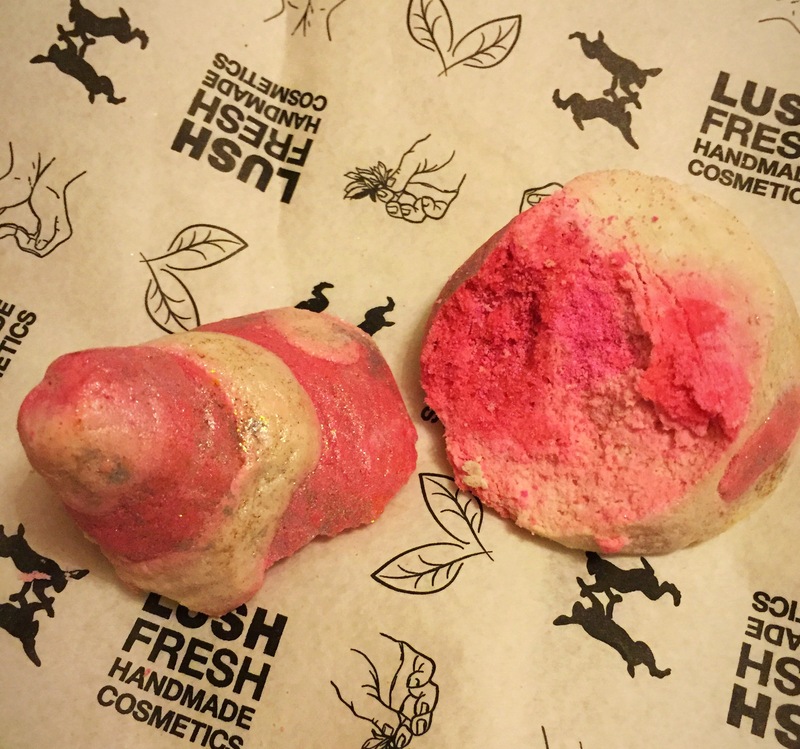 Although this is a product that does make an appearance quite a lot at Christmas, lush do tend to change its design now and then. This year it is a beautiful pink and white design with a good helping of lustre to add that extra special glittery sheen to it. Although candy mountain is a little smaller compared to some of the other bubble bars available, it will still last you a good two bath. which seeing as this bath bomb is a little cheaper than others means your getting a lot of bubble for your money. 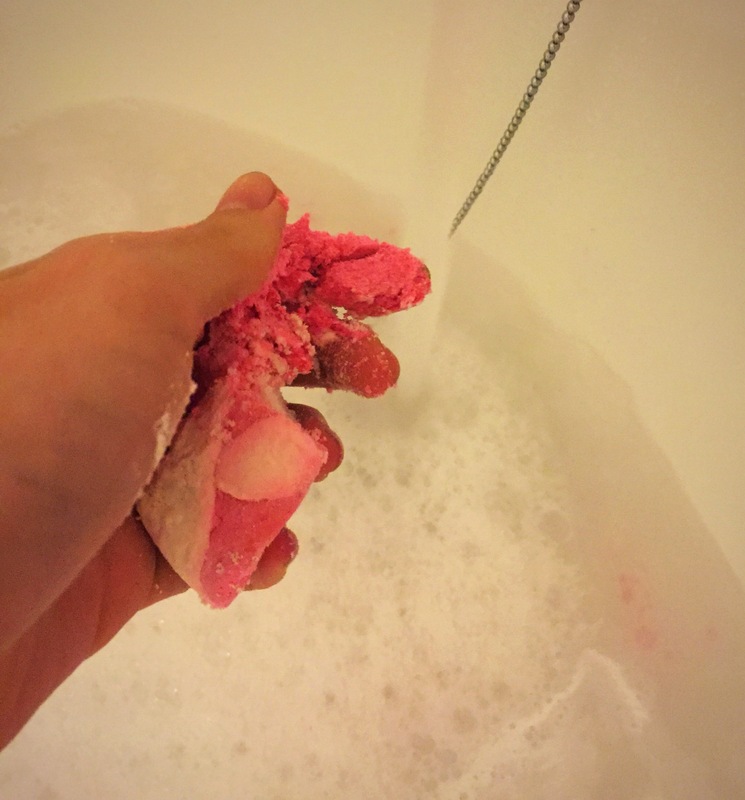 Once crumbled under the water it instantly creates lots and lots of super soft silky bubbles, it also turns the water a wonderful pink colour. What I like most about this product is that it’s sweet scent isn’t too sweet that’s it’s overpowering but it is strong enough to leave a subtle scent on the skin and leave you smelling wonderful.